It is always fun to get in the spirit during the holidays! Your kids love it and remember these simple little gestures that they may pass down to their children. 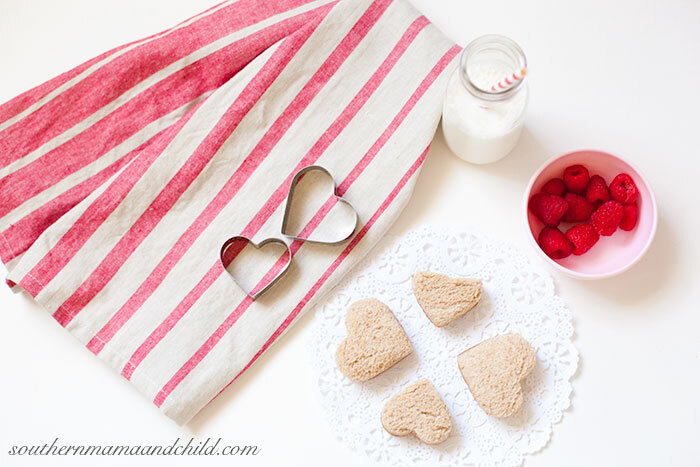 Today, we are sharing a super easy festive lunch for Valentine’s day! 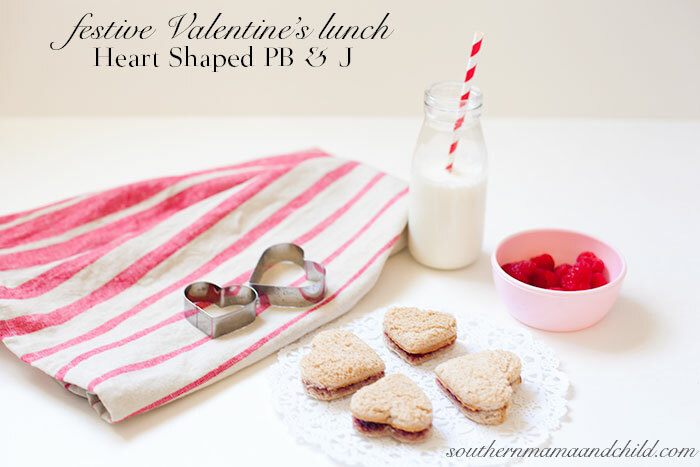 Heart shaped peanut butter (we used almond butter) and jelly sandwich! My daughters school is a peanut free facility, so we are loyal almond butter fans since it tastes and looks the same as peanut butter. Raspberries, strawberries, cherries sliced tomatoes, and grapefruit are all really great side options for your child’s lunch. We used what we had on hand 🙂 A cup of milk in a vintage milk jar with a striped red straw adds for extra fun. Get creative and use what you have. Most importantly, have fun with your child and even let them help!